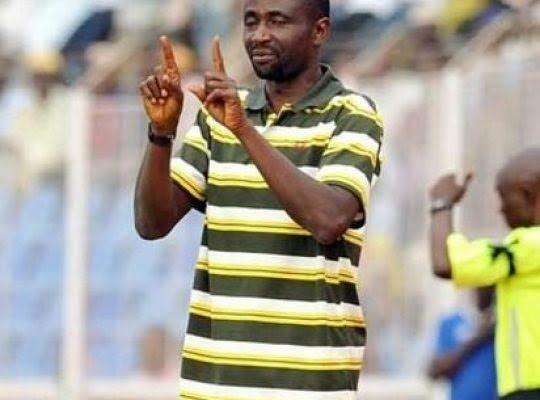 The head coach of Sunshine Stars FC, Kayode Julius has denied assaulting Lobi Stars’ goalkeeper Ospino Egbe during a warm up training before their rescheduled match on Thursday in Akure. Lovers of Nigeria Professional Football League were shocked when it was reported that the Owena waves allegedly assaulted the former MFM goalkeeper and left his face bloodied. 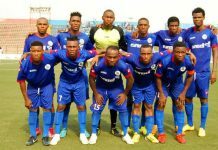 However, the embattled coach says denied assaulting the player, and said it was the Lobi goalkeeper that interrupted his team’s prayer season and hit him. “I was holding a water can at the center of the pitch while we were praying and all of a sudden, the Lobi player hit my hand and injured me in the process. He came a second time to attack me” he said. “how will I punch a player when I know the implication. I have no reason to fight any player,” he said.